The British Morrisons worker who fled to Syria to join ISIS urged fanatics to carry out lone wolf knife attacks just weeks before the Westminster terror atrocity. Omar Hussain, a former supermarket security guard-turned jihadi recruiter, used the secret messaging app Telegram to encourage ISIS supporters to 'stab' or 'slit the throats' of 'non-believers'. Hussain, who now refers to himself as Abu Sa'eed Al-Britani, also ordered extremists to 'rise my brother and make the kafir pay'. Weeks later, terrorist Khalid Masood launched his horrific attack, mowing down pedestrians on Westminster Bridge and stabbing PC Keith Palmer outside Parliament. Those killed on the bridge include Londoner Leslie Rhodes, 75, US tourist Kurt Cochran, 54, and mother-of-two Aysha Frade, 43. Police are still investigating whether 52-year-old Masood - who was shot dead by an armed officer after the rampage - was inspired by online ISIS propaganda which claims he was a 'soldier'. Hussain was among several fanatics to use the app ahead of the attack. In one post, jihadists outlined a list of possible victims and 'perfect targets' in Britain including politicians, Jewish schools pubs and clubs. In the post was an illustration - titled 'Fight Them' - of an ISIS terrorist dressed like Jihadi John holding a sword in front of Big Ben, as a fireball engulfed the background with a tattered Union Flag flying in the wind. During conversations on the app, the fanatics ordered each other to target football stadiums due to a lack of security. They also listed different methods of attacking the matches, suggesting that fans should be targeted at the end of games. The terrorists wrote: 'Devices can be left in around the stadium, bars, cars, buses, trains, transportation etc. 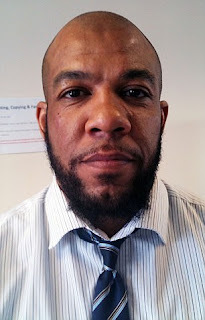 Hussain left Britain in December 2013, flying to Turkey via Gatwick, despite being a known extremist who was stopped at Heathrow airport six months earlier. 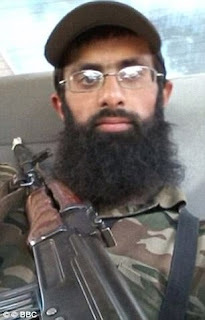 Once in Syria, he began making threats against the UK on the internet using the alias Abu Saeed Al-Britani. He warned how he would like to return to bomb Britain, and in one IS video described David Cameron as a 'despicable swine'. Last year, Hussain, from High Wycombe, Buckinghamshire, urged fanatics to beat up and rob drunken revellers out celebrating in the run-up to Christmas so that they could buy knives. In a separate blog post, he dolled out advice for jihadi brides, urging them to 'cook nice food' for their husbands and 'be presentable in your appearance'. Telegram was used by fanatics before the attacks on Nice in July 2016 and Berlin in December last year. The platform is a favourite of terrorists because it uses end-to-end encryption, which is designed to make sure only senders and recipients can view the content of messages, making it hard for security services to hack into. It is believed that sick videos of high profile attacks were also posted on Telegram by jihadists to 'inspire' each other, including the murder of soldier Lee Rigby in Woolwich and the 7/7 London bombings.